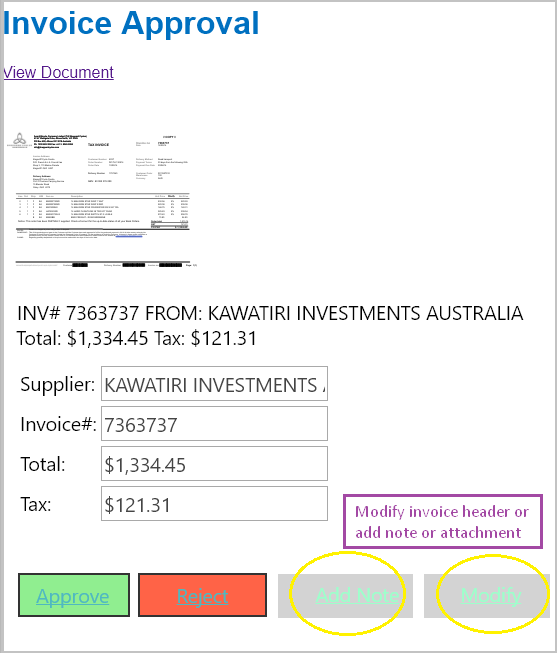 In addition to Approve and Reject the invoice , you can click either “Add Note” or “Modify” button. 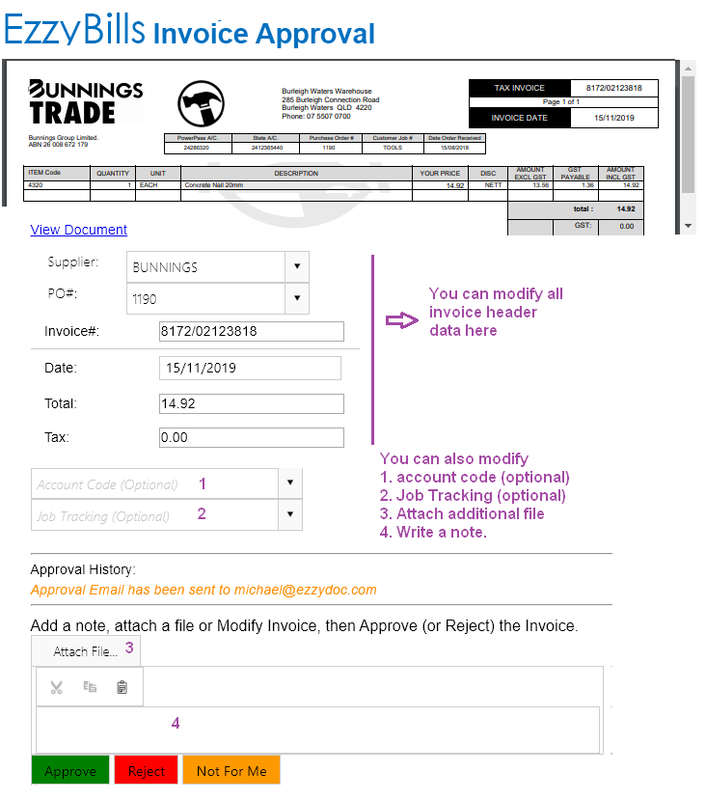 add an additional attachment (such as delivery docket) during email approval. Basically the approval email received will contain a button for “Add Note”, and a button for “Modify”. The two buttons are the same. 2) the note you add will be stored in the EzzyBills “log” for this invoice. It will be also sent to Xero as a separate attachment. 3) after click the “Attach File” button, you will be prompted to select a file from your device. The file uploaded will be saved to EzzyBills as a as a separate file with a unique DocID. It will be also stored in Xero as a separate attachment. where Job and State are tracking categories. 11186 and NSW are the tracking options. 5) for security reason, after an action button (Approve or Reject) is clicked by the approver, the button in the email system will cease to work.